Filling in the blender of pieces of a pear, raspberry and bananas. 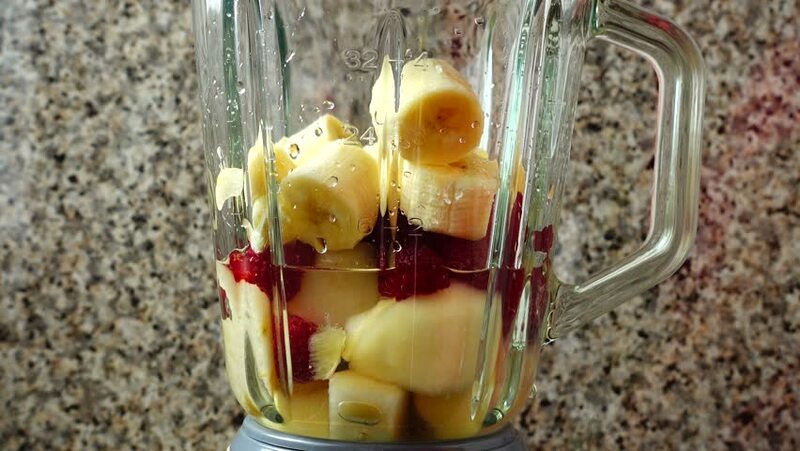 Preparation of smoothie in the blender. 4k00:12Foi thong Delicious cake with coffee on a wooden table, 4k 30fps resolution. hd00:10Crop hand showing glass sand clock against brick wall counting time. hd00:18 Closing Gold Loknimit Thailand Buddhist temple tradition beliefs .Burial Loknimit gilded temple Buddhist temple Wat Lahan Yai, Rayong, Thailand February 15, 2014.
hd00:13Florarium in wedding decoration in the restaurant. Wedding decor on a table in the restaurant. Wedding, festive decor with flower compositions and succulents in florariums.